Suicide is a topic that often lives in the shadows. There's a lot of stigma associated with mental health in general and suicide in particular. On average, we lose over 100 people to suicide in our county every year. The impact goes beyond the person who died. Family members, friends and loved ones struggle with their loss and are often left wondering what they could have done differently. It's time to bring the topic of suicide out into the open and begin a healing dialogue. It's time to talk about how we can help the people in our own lives who are struggling. This is why we're spotlighting national Suicide Prevention Month, this September, and reminding everyone we know that the real "s-word" is not suicide. It is silence. Thousands of us suffer in silence every day because we cannot bring ourselves to communicate our pain, our loved ones unaware or not sure how to help. So, this month, I encourage you to break the silence. If you are hurting, tell someone. Do not delay. If you are worried about someone in your life, the time has come to talk. California's "Each Mind Matters" campaign even has a tip sheet about how to start a safe, respectful conversation. Here at Health Services, our Behavioral Health Services division is working hard to further community dialogue about suicide prevention through the Contra Costa Suicide Prevention Committee and our Suicide Prevention Strategic Plan, developed in partnership with the Contra Costa Crisis Center. 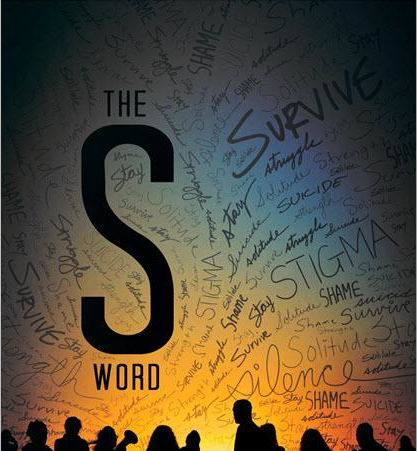 We're also hosting a free public screening of "The S Word," a new documentary that digs deep into the personal perspectives of people who survived suicide attempts, to be followed by a guided discussion. As someone who has experienced suicide in my own family (my brother-in-law took his own life at age 26), I can vouch for the fact that it can happen to anybody, out of the blue. Most people who die by suicide are masking their despair, feelings of inadequacy or hopelessness, or relationship, health or financial problems that are overwhelming them. But by educating ourselves through the growing body of public resources for suicide prevention, and by engaging in honest, direct communication with the people we love, we can reduce the risk of a preventable tragedy occurring in our lives and in our community. Not sure what signs to look for? There's a wealth of information about suicide, depression and mental illness online. The California Mental Health Services Authority's site, www.suicideispreventable.org (or www.elsuicidioesprevenible.org for Spanish), is a good place to learn more. If you or someone you know is experiencing a crisis or contemplating suicide, call 211 for 24-hour access to the Contra Costa Crisis Center's free and confidential hotline. You can also text HOPE to the number 20121 for instant access to a trained, compassionate counselor. It's not an easy conversation to have, but it is an important one. By reaching out, you can let someone in crisis know that they are not alone. Together, hope is within reach. Find out how the CCHS employees named below went the extra mile. Brandy Kirchner, a surgery scheduler in the OR at Contra Costa Regional Medical Center (CCRMC), has been named this year's Ruth Pease Award winner. The award is given by the medical staff to a non-physician who exemplifies the dedication of Ruth Pease, a longtime CCHS nurse. 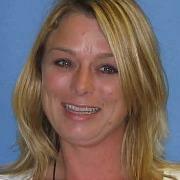 "The OR at CCRMC could not operate without Brandy Kirchner," Brandy's nominator wrote. "She knows everything about everything in the OR. 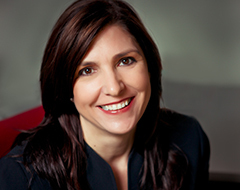 She is incredibly dedicated and a true patient advocate." Four nurses were also given honorable mentions for their work on behalf of patients: Sue Dickerson, May Loney, Maritess Rayrao and Maggie Ewing. Brandy and the others will be honored at the annual Medical Staff Dinner & Dance on Sept. 21 at the Pleasant Hill Community Center. Our Public Health Division notified health care providers and the public last month after learning a person infected with measles visited several popular indoor venues in Contra Costa, Los Angeles County and Arizona during the contagious period. Public Health also did direct outreach to people in Contra Costa who were known to be in close contact to the community member. Public Health urged anyone who shows symptoms of measles to contact their healthcare provider immediately. As a result of the outreach efforts, Public Health received a few testing requests—all of which were ruled out for measles after lab testing. 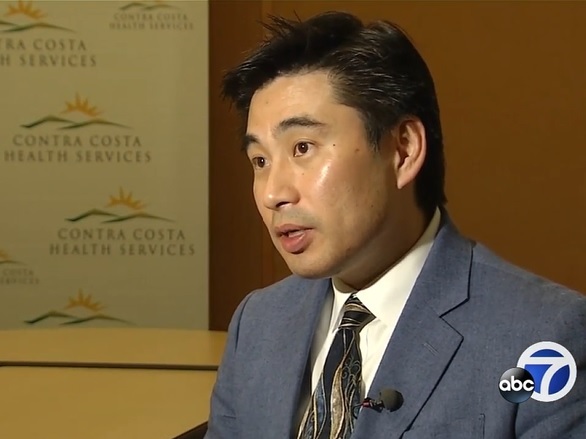 "Most people have been vaccinated and therefore are protected and not at risk, even if they have shared the same indoor air-space with a contagious person," said Dr. Chris Farnitano, Contra Costa County Health Officer. The infected person, who has recovered from the illness, visited the Emergency Department at John Muir Medical Center in Walnut Creek on Aug. 11. John Muir officials identified and contacted all patients and their companions who were present at the time. The infected person also ate at Chow Restaurant in Lafayette on the morning of Aug. 14. Measles is a serious, highly contagious disease that is spread through the air when an infected person coughs or sneezes. An infected person is contagious for several days before and after the disease's tell-tale rash appears. This was Contra Costa's first measles case since 2015. Next month CCHS employees will begin using Microsoft Outlook instead of Lotus Notes for email communications and calendar management. On Oct. 10, a new Outlook icon will appear on employees' computer desktops. Our Information Technology (IT) department will begin migrating certain information – including calendar entries from the past 90 days and personal contacts – from Lotus to Outlook on that date. Old emails will not be migrated to Outlook, but employees can still access them on Lotus Notes. As part of the switch, CCHS employees will get shorter email addresses ending in @cchealth.org. (Example: jsmith@cchealth.org.) Employees' old email addresses (@hsd.cccounty.us and @hsd.co.contra-costa.ca.us) will still work. If someone sends an email to the old address, the message will route to your new Outlook account. Employees who want mobile access to their work emails will need to download the Outlook app to their smart devices. For more information, see the FAQs on iSITE or contact project manager Bryan Thomas. 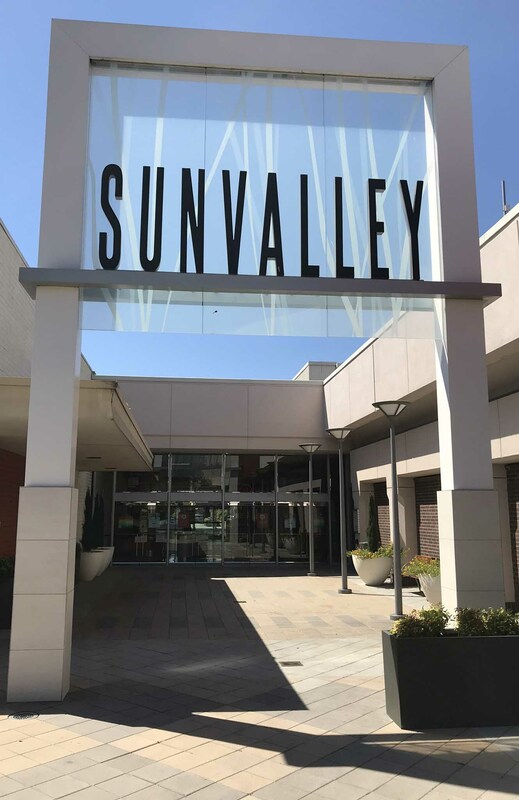 Widespread rodent and cockroach activity prompted the Environmental Health Division (CCEH) to close eight restaurants in Concord's Sunvalley Shopping Center in August, and meet several times with mall management and tenant businesses in an effort to clean up the problem. During the week of Aug. 5, health inspectors temporarily closed the McDonald's and Johnny Rockets restaurants after finding serious health code violations. The next week six other businesses were closed: Chicken Connection, Lotus Express, Suki Hana, Charley's Philly Steaks, Cilantro Fresh Mex and Tomi Seafood Buffet. The concentration of health violations led CCEH to contact the mall ownership, Michigan-based Taubman Properties, which has since developed a robust plan to deal with the immediate problem and implement permanent measures to prevent a recurrence. During a subsequent site meeting with mall management, Surf City Squeeze was closed for vermin. Tomi Seafood Buffet was closed for a third time in 2018 due to unresolved, serious health code violations. The facility remains closed pending an Administrative Hearing on September 5th. CCEH is also working with the Contra Costa District Attorney's Office on a possible enforcement action against Tomi Seafood, which remains closed. Twenty-one members of our Medical Reserve Corps (MRC)—including physicians, nurses and mental health specialists—provided emergency medical care to victims of the recent wildfires in Northern California. 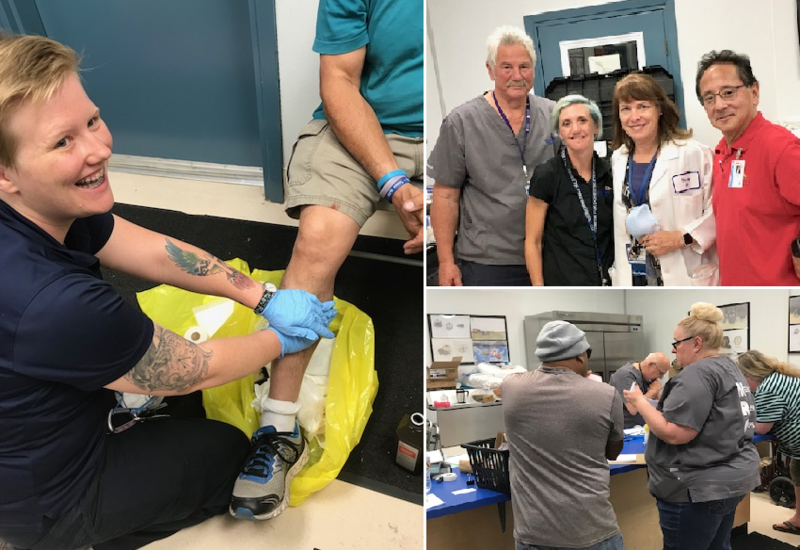 During the first week of August, MRC volunteers devoted more than 625 hours at Lake County shelters treating minor injuries, acute pain, illness, chronic disease management and refilling prescriptions. Additionally, many of the evacuees needed psychological first aid measures to begin their recovery process. The MRC is made up of medical and public health professionals who volunteer their services during disasters. To learn how to volunteer for the MRC, visit cchealth.org/mrc. Come See Free Screening of "The S-Word"
Please join us for a screening of "The S Word," a documentary on the topic of suicide. Last year's flu season was really bad. And we don't know how bad it will be this year. Your best defense against the flu? Get a flu shot. 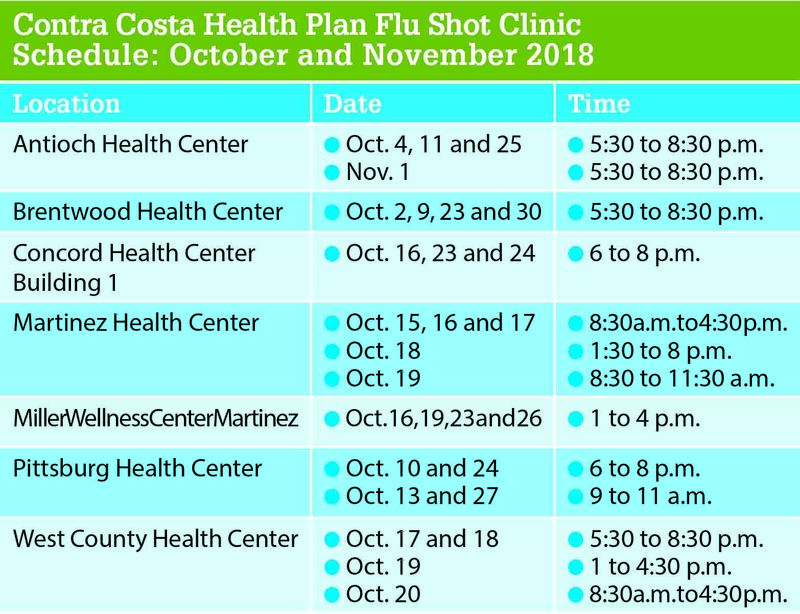 Several of our health centers will be hosting walk-in flu vaccination clinics in October (see schedule). 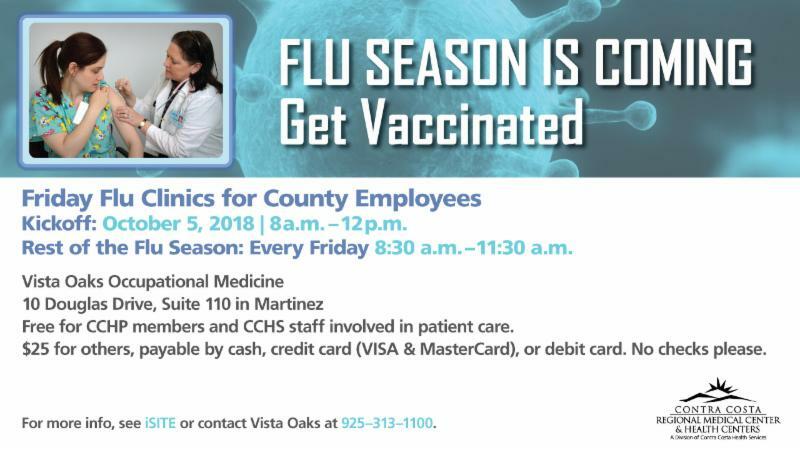 County employees can also get their flu shots at Vista Oaks Occupational Medicine every Friday starting Oct. 5. 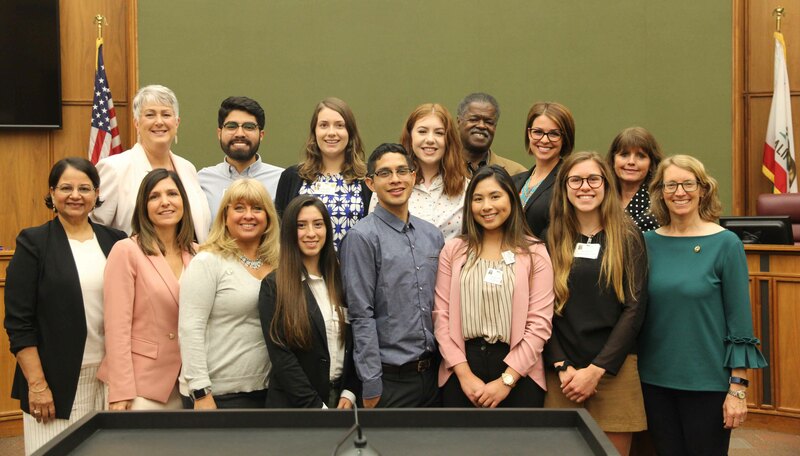 Summer interns from across CCHS briefed the Board of Supervisors on their work and thanked the county for the opportunity at an Aug. 14 meeting. This year high school, college, graduate and post-graduate students shared their talents with the department. To learn more about CCHS' student intern program, contact Shannon Ladner-Beasley.